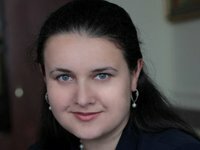 The realistic plan to reform the State Fiscal Service of Ukraine first implies the division of fiscal and customs services, acting Finance Minister of Ukraine Oksana Markarova has said. "What do I believe in as a realistic plan? The division of separate areas. The tasks facing the tax and customs areas are different... Therefore, the first thing to do is to divide into separate areas and clearly prioritize," she said in an interview with the Korrespondent publication. She also indicated plans to reduce the number of these structures while increasing their effectiveness. "Somewhere, like at customs, you will need to increase the number of employees, somewhere, like in the tax police, reduce the numbers, but strengthen analytically. I do not know how much time I have in this position. But if you make a realistic plan, which can be shaped in specific stages, then you can move along this plan," the finance minister said. At the same time, she said that the tender to select the head of the State Fiscal Service is postponed: "The tender is postponed for a short time, given that I would like to approve this concept of reform as soon as possible, and then announce tenders for the heads of the tax and customs services."